40 years ago, the town of Baga was bustling with an industry and a commerce born of the body of water that had given its residents life for as long as anyone could remember. Nestled in the most northeasterly corner of Nigeria along the shoreline of Lake Chad, Baga served as the piscine midwife for tens of thousands of fishmongers all across the country, providing roughly 135,000 tons of smoked and dried fish a year. Today, thanks to the construction of dams on the lake’s feeder rivers, excessive irrigation and the effects climate change, Lake Chad has shrunk to less than one-fifth of its original size. The massive body of water that locals used to refer to as “an ocean” is now a shriveled imitation of its former self and Baga, which used to sit right on the water, is now twelve and a half miles away from its shores.The fish, which used to be so plentiful and served as the lifeblood of the community, have all but vanished from the Nigerian side of the lake, leading many locals to give up fishing and try their hand at farming or finding work in the city of Maiduguri, more than 120 miles away. Left in dire straits, the people of Baga hoped that the Nigerian government would come to their aide and try to replenish the lake by pumping water up from the nearby Congo River, enforcing more water-efficient irrigation methods and rebuilding wasteful dams. Put simply, Baga needed water. It would get only fire. On January 3rd, members of the militant Islamist group Boko Haram attacked Baga, which in addition to being the fishing hub of Northeastern Nigeria is ostensibly the home to amultinational task force of soldiers from Nigeria, Chad, Cameroon and Niger. Disorganized, demoralized and short on supplies, the multinational task force fell underneath the weight of Boko Haram’s advances in only a few hours. Some of the soldiers put up a fight for as long as they could, but many simply threw down their weapons and fled for their lives. The residents of Baga, seeing the military forces that were supposed to protect them running away, quickly followed suit. Some ran off into the forest or the desert, while others were forced to swim across Lake Chad. Dozens of residents who tried to cross the lake drowned in the attempt, but at the very least they had a chance of escape. Those who stayed in Baga were not as fortunate. Although the exact number of dead is still unknown, the best estimate from Amnesty International claims that up to 2,000 residents died at the hands of Boko Haram, with many of the bullet strewn and badly burned bodies still lying in the bush or in the charred remains of the town itself. As is too often the case when it comes to insurgency and guerrilla warfare, the majority of the dead were women, children and the elderly—the unfortunate few who were unable to get out in time. Baga, which used to hold more than 10,000 people, is now a ghost town for the second time in the last 3 years. 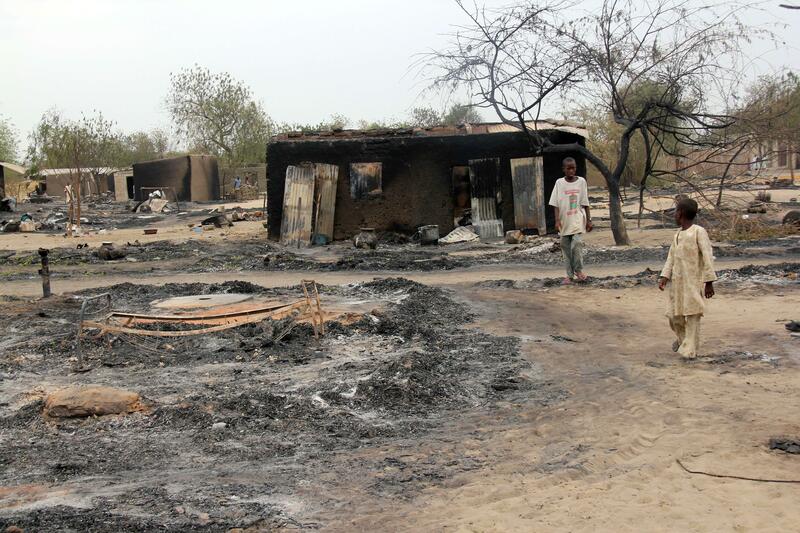 In 2013, it was not Boko Haram, but the Nigerian Military who was responsible for razing Baga to the ground and brutally murdering hundreds of civilians. In what now needs to be qualified as the Baga Massacre of 2013, Nigerian security forces attacked Baga in retaliation for the murder of one their soldiers by a member of Boko Haram, indiscriminately burning down over 2,000 homes and killing around 200 people. The people of Baga were still reeling from the devastation of this first, state-sponsored massacre when Boko Haram hit them with an even deadlier one. It is easy to paint Boko Haram as this inhuman congregation of fundamentalist evil that preys upon the people of Nigeria and serves no meaningful purpose, but to do so is to discount the incontrovertible appeal the group has to thousands of men and women in the region. In a little over a decade, Boko Haram has gone from a small group in Maiduguri that peacefully opposed the influence of Western education and promoted Shariah Law to a militant organization of at least 15,000 that controls 15 local government areas in Northeastern Nigeria and has become legitimate player in the politics of Sub-Saharan Africa. In the United States, we normally hear of Boko Haram only in passing or in reference to a particular atrocity they’ve committed, such as the Baga Massacre of 2015 or the abduction of 276 Nigerian schoolgirls last year. Rarely do we have discussions about the sociopolitical, economic and religious climate in Nigeria that have allowed Boko Haram to flourish. We cover the what, but not the why. For the majority of its history as a free and independent nation, Nigeria has been a military state. Except for a brief flirtation with democracy in the early 80s, Nigerians spent the final third of the 20th century under the rule of a series of corrupt military dictators who were constantly deposing one another in slews of coups and counter-coups, with the one constant being the refusal of any regime to share the spoils of Nigeria’s vast oil reserves with the general population. In 1999, military rule formally ended in Nigeria, when Olusegun Obasanjo—a man who had served as the country’s military ruler in the late 70s—was elected in a rather dubious election. but it would still be another 8 years until the election of Umaru Musa Yar’Adua, the country’s first civilian President in over 40 years. Yar’Adua would only serve as Nigeria’s president for about two an a half years as he was to fall ill and die in the spring of 2010, transferring power to the nation’s current President, Goodluck Jonathan. Under most circumstances, it would be easy to dismiss the warnings in this letter as the overblown rumblings of a disgruntled military officer, but the prospect of the government of Nigeria being overthrown by Boko Haram is not far fetched. Thus far, Goodluck Jonathan has been wholly incapable of stopping the Islamist group’s advances, and much of the international community is not optimistic that the Nigerian military will be able to do so in the future. 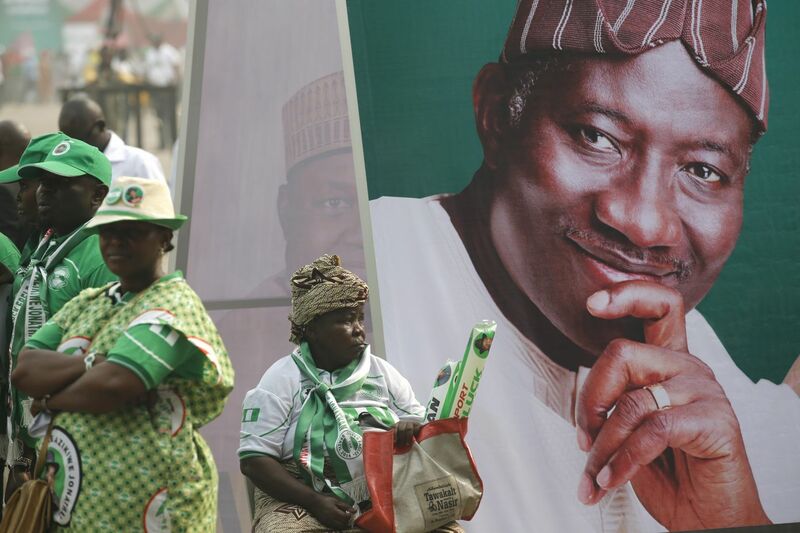 The upcoming Presidential elections, which have been scheduled for Valentine’s Day and, as of this writing, will go forward despite threats of violence and sabotage from Boko Haram, have the potential to halt Nigeria’s military collapse, as Goodluck Johnathan finds himself in a two horse race with Muhammadu Buhari, a retired general and Muslim from the north who was installed briefly as head of state in the mid 80s after a military coup and has since run unsuccessfully for President three times. Buhari is running his campaign partially on a platform that promises an end to the rampant corruption and economic inequality that have become endemic in Nigeria, but his broadest appeal lies in his military experience and his potential to repel the threat of Boko Haram in a way the Johnathan has been unable or unwilling to. In prior presidential elections, Buhari’s Muslim faith and fears of a radical Islamic agenda have made him an unpopular candidate in the more secular, Christian south, but given the extent of President Johnathan’s inability to contain Boko Haram, the south is beginning to warm up to him. In the long run, no amount of military might will be able to defeat Boko Haram. Their meteoric rise may be cloaked in the tenets of fundamentalist Islam, but it is motivated by the wretched conditions the Nigerian people find themselves in, especially in the poorer northern half of the country. Despite having Africa’s largest economy and experiencing around 7 percent growth in GDP each year, most Nigerians still find themselves mired in poverty. In 2010, 61 percent of Nigerians lived on less than a dollar a day, with the majority of the impoverished living in the northern portion of the country, an area that has failed to benefit from Nigeria’s booming oil industry, which is located primarily in the south and is responsible for 95 percent of the country’s foreign income. It is not coincidence that Boko Haram has found its success in northern Nigeria, where the poverty rates are thought to be as high as 80 percent and the effects of climate change—like the rapid disappearance of Lake Chad—are leaving millions out of work. The group’s membership is filled with the castaways and casualties of Nigeria’s disenfranchised youth—young men who see no hope in the livelihoods once pursued by their forbearers and gravitate towards a way of life that promises stability, order and the spoils of war. Regardless of whether Goodluck Jonathan or Muhammadu Buhari win in the upcoming presidential election, the only way that Boko Haram can be neutralized once and for all is to create an economy that breaks the “resource curse” and uses the country’s immense oil reserves to provide opportunities for all Nigerians—not just a select few in the upper echelons of government and industry. Boko Haram is not the problem. Boko Haram is the unfortunate reaction to the problem, and the only way to get rid of the latter is to address the former. Drew Gibson is a writer and the social media director for “Virally Suppressed”, a blog that covers a multitude of issues related to social justice and inequities in America and across the world. In particular, Drew focuses on US politics and history, race relations, the environment, and issues surrounding mental health and substance abuse. You can reach him at Virallysuppressed@gmail.com. This entry was posted in Boko Haram, Conflict, Election violence, Elections and tagged Nigeria. Bookmark the permalink.